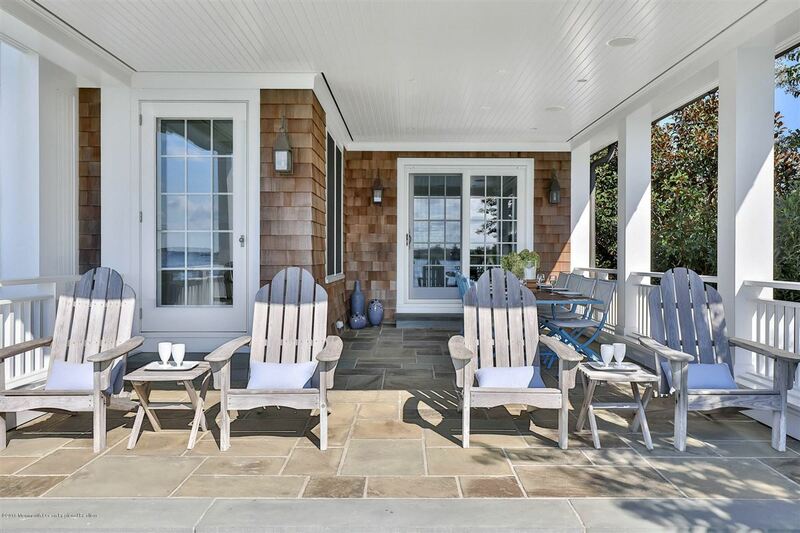 This shingled bayfront retreat in Mantoloking, New Jersey has been featured in Metropolitan Home and New Jersey Life magazines. Located on a cul-de-sac, this 5,500 square foot, six bedroom, six bath retreat features custom architectural detailing throughout. 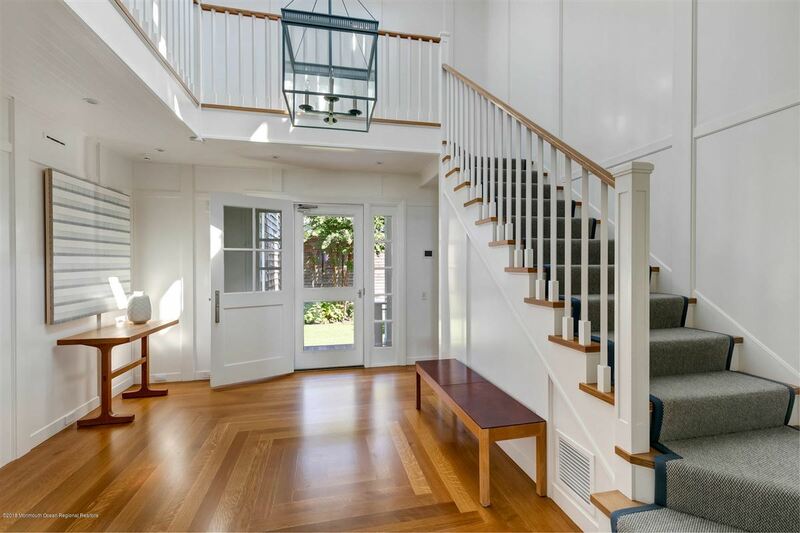 The three-story foyer provides a grand and welcoming entrance with lagoon and ocean views. 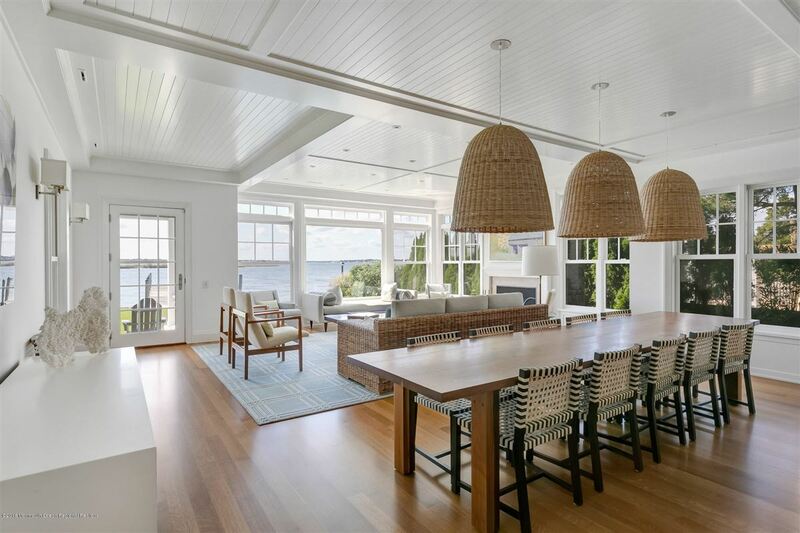 The open floor plan offers panoramic views of Barnegat Bay, Herring Island and Forsythe Wildlife Refuge. Large picture windows allow sunlight to pour through the house. 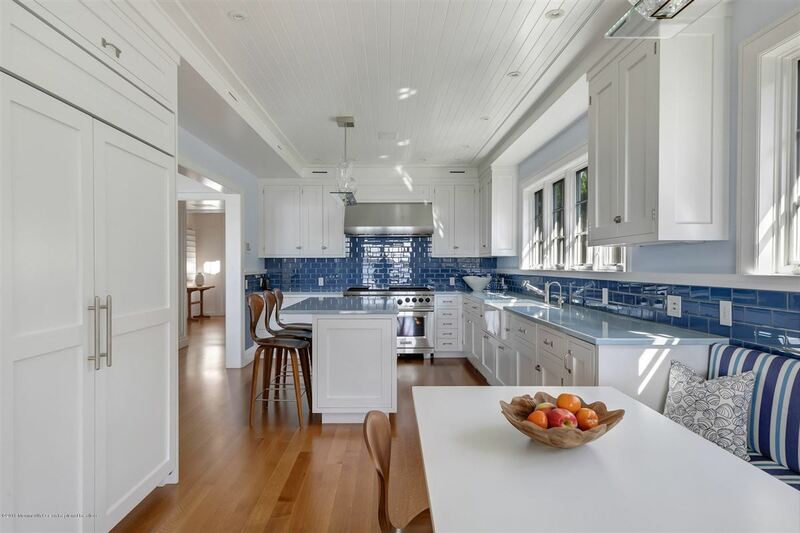 The beautiful blue and white kitchen echoes the vibrant colors outside the home. The master suite has a fireplace and french doors open out onto a balcony. Enjoy premium views and exquisite sunsets from the covered dining porch, where you can dine and entertain al fresco or relax in solitude. The glass-tiled pool maximizes views and you’re a short walk to private, lifeguarded South Beach. 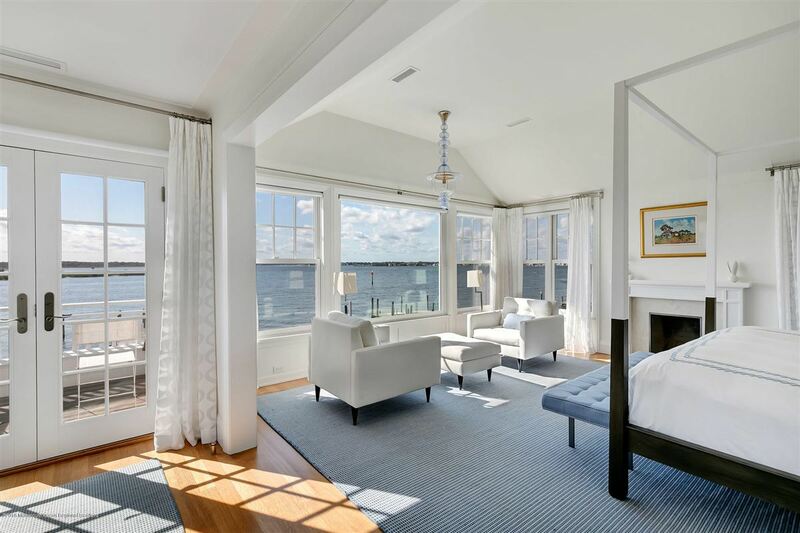 This home is listed for $4.9 million with Diane Turton, Realtors, an affiliate of Luxury Portfolio International®.